The goal of the organizers of this wonderful annual event is to provide a stage for local and emerging talented individuals in the performing arts. In addition, They are sometimes honored to welcome professionals, who become aware of this event, and wish to add their special flare. 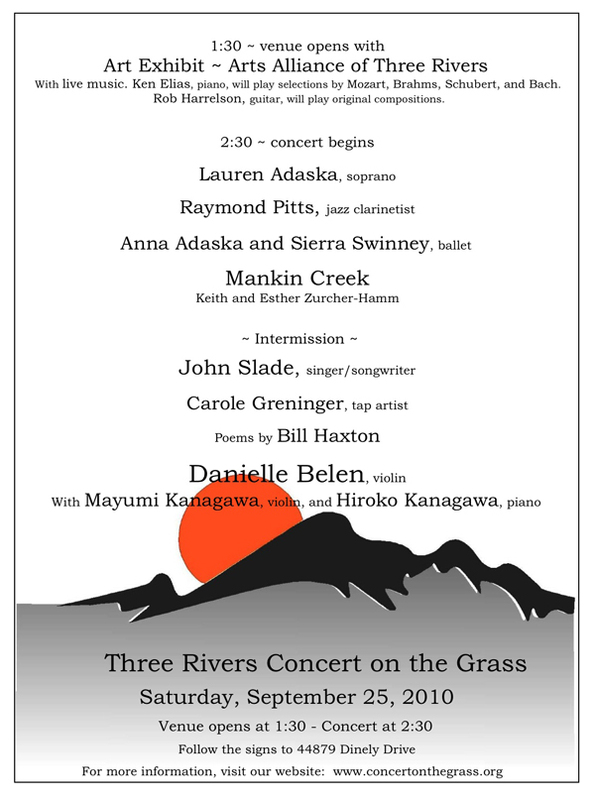 Every fall on the last Saturday of September they provide an out-door concert open to all free of charge. 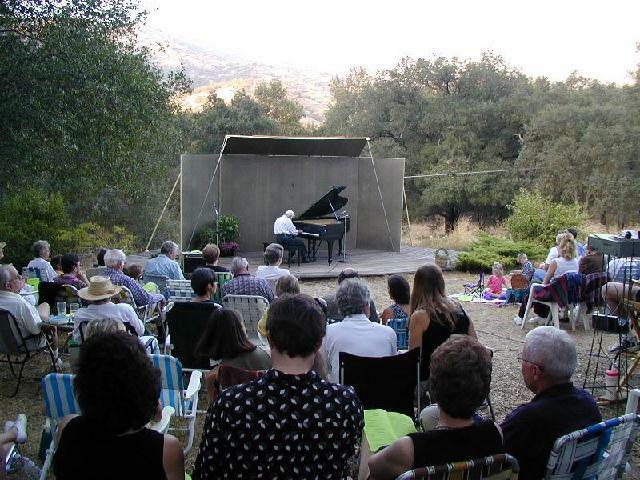 They collect donations to defer the costs and to pay honoraria to the performing artists whenever possible. Admission is free. Bring a picnic meal and refreshments, and chairs or blankets. Porta-Potties provided. A parking shuttle will be provided until 2:20 pm., when they want their cherished volunteers to find their seats and be able to enjoy the concert. Out of respect to the first act, please allow plenty of time to get here and set up. Come early and enjoy the art and artists. Allow 1 hr & 15 mins travel /setup time from Visalia to 44879 Dinely Drive. Take Hwy 198 east to Three Rivers (about 30 miles outside Visalia). After the reservoir, the first significant building landmarks are the Comfort Inn on the right, and a little farther along, the post office and Village Market on the left. Continue on Hwy 198 for another 3.2 miles to Dinely Drive. At Dinely you will see a large faded blue and yellow metal sign on the left for the Lake Elowin Resort. Turn left and cross the bridge. Then bear right and follow the Concert signs for another 2.5 miles, until you are greeted by the parking attendants. This entry was posted in Concert on the Grass and tagged Three Rivers Concert on the Grass on September 15, 2011 by Elsah.